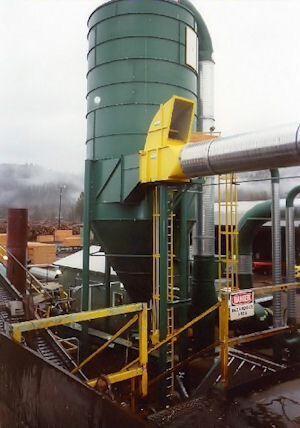 Clarke’s manufactures its own line of Spark Detection Equipment along with various Safety Devices. Weather you are looking for a simple system or a complex one, we can fill your need. 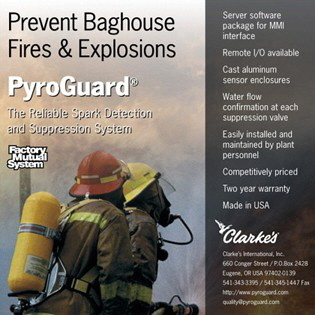 Please visit our PyroGuard website to find a complete line of Spark Detection equipment. If you need a Safety Device such as an Abort Gate, Back Draft Damper, Isolation Damper or Explosion Venting, click on the Safety Devices.